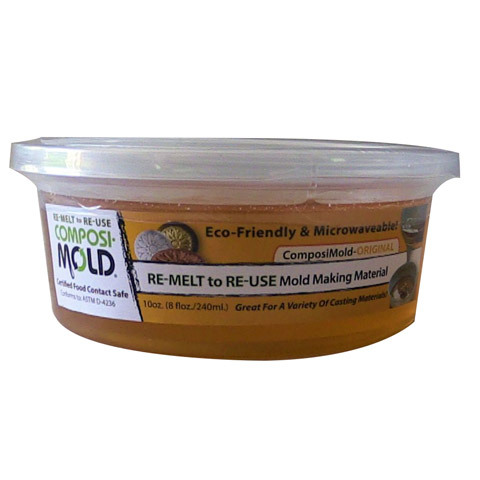 When melted this molding material is 100% reusable. Many casts can be made using the same mold. It is a great material for artists who want to learn and become more involved in sculpting, modeling and mold making without the worry of mistakes or wasting material. This flexible, rubbery thermoplastic is great for small mold parts that require a stiffer mold making material. It is compatible with many different casting materials including clays, plaster, cement, epoxy, polyurethane and many others.